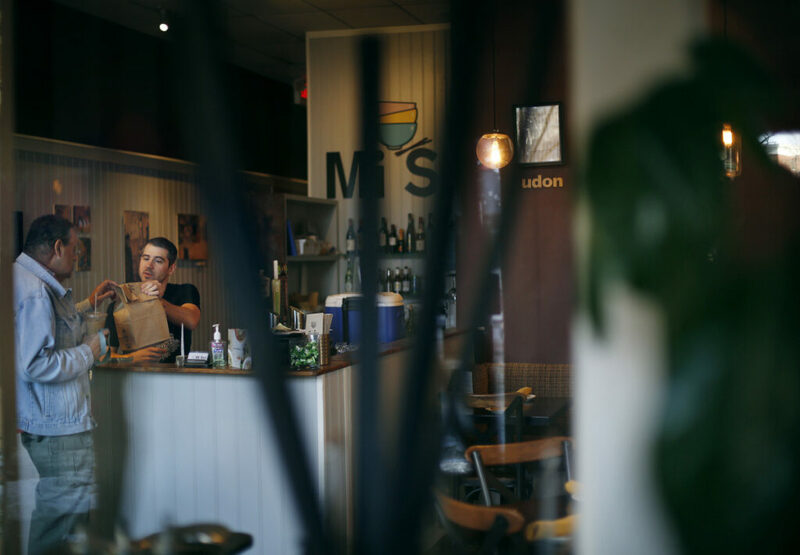 Darit Chandpen, 31, who has run Mi Sen Noodle Bar on Congress Street for nearly 6 years, says he pretended not to know how to open the cash register. The owner of a downtown Portland restaurant said he pretended not to know how to open the register when an apparently drunken man threatened him with a knife and demanded cash Saturday night. 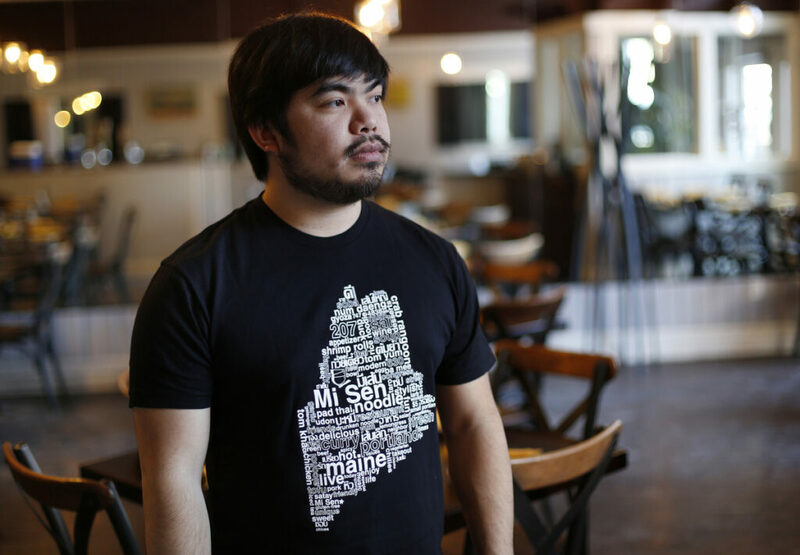 Darit Chandpen, the 31-year-old owner of Mi Sen Noodle Bar, said he was happy no one was hurt after the unidentified robber pointed a knife at him and demanded cash shortly before 10 p.m.
“When he saw the cash register, he tried to open it, and he told me to open it, and I said I don’t know how,” said Chandpen, who has run the restaurant at 630 Congress St. for nearly six years, and has never before been the victim of an armed robbery. Police said they are still investigating the robbery and that no one had been arrested as of Monday night. Chandpen never did open the till – the knife-wielding man took the entire cash drawer, cutting the wires that held it to the rest of the register, according to a post on the restaurant’s Facebook page, which showed video stills of the robbery. Chandpen said he first encountered the man when he came into the restaurant and asked to use the bathroom. Chandpen said he could smell alcohol on the man and at first believed that he was homeless. Chandpen said when the man first came in, there were a few customers in the restaurant. But when the man returned from the bathroom, no one else was around, he said. The robber walked past Chandpen, who was behind the register. The man then turned toward him and pointed a small kitchen knife at him, Chandpen said. 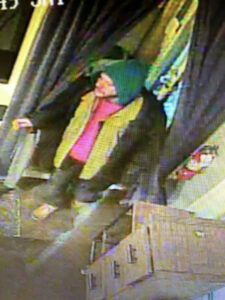 In the surveillance images posted online, the man was wearing a hooded sweatshirt and two coats. The addition of alcohol to the situation made Chandpen unsure whether the man might still hurt someone even if he had given over the money. People have stolen from the tip jar and taken belongings from the restaurant in the past, but this was the first armed robbery. “It’s much different when they have a knife,” Chandpen said. The entire encounter was over in a minute or two, but it felt much longer, Chandpen said. Chandpen is considering how to respond to the robbery and said he may install better security cameras.